Learn How to Regrow Hair: Hair Loss Diet Success Stories! 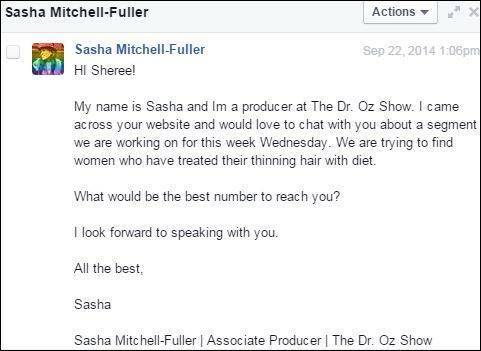 We were contacted by the Dr. Oz show. We need feedback from women in the tri-state area who've used the hair loss diet to regrow hair! Did you ever think it was possible to regrow hair? The visitors listed below will show you how the hair loss diet works. You can scroll down read their stories below. The Healthy Diet Paradise's hair loss diet program has been implemented for over four years. During this time, we've had major successes with our hair loss diet boot camp. I would like to say congratulations to all of our participants who have successfully re-grown their hair. I love each and every one of you. It is a major event when an individual restores their hair. When somebody reports to me that their hair is growing back, it is a huge celebration. I get so fired up and excited that I can't sit down. Each and every hair loss reversal case is a miracle unfolding. The hair loss diet is incredibly tough. It turns your life upside down in so many ways. But the payoff is so worth it. Read DeeDee's story of hair recovery after eight years of suffering from hair loss. Her unique story shows how you must never give up. Read Lara's story of hair recovery after 25 long years of hair loss. Her story is compelling, dramatic and heartfelt. 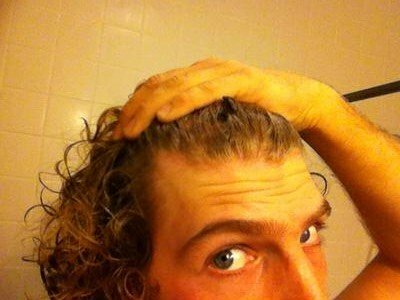 Read Noah's hair regrowth story. He gives a detailed account of his journey through the hair loss diet! 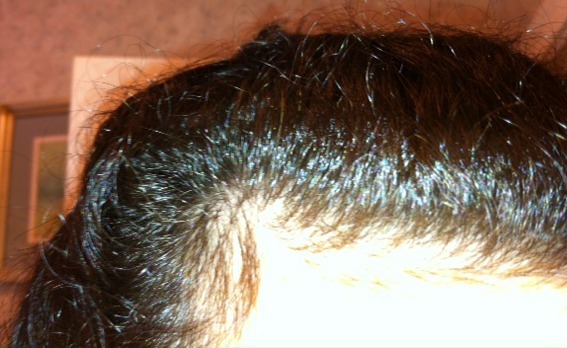 Make sure to watch our regrowth videos and read our viewer submissions about their results below! Did you Regrow Hair and Recover From Hair Loss? If there's anyone who has reversed their hair loss with the hair loss diet, please post your story and your pictures here. As you know, hair loss is incredibly painful, and you'll be giving hope to so many, making their lives brighter. Your Can Regrow Your Hair! In early 2011 when I first started advertising the hair loss diet, men did not believe it would work. It took nine solid months before we heard anything back from men. It was a really tough wait. 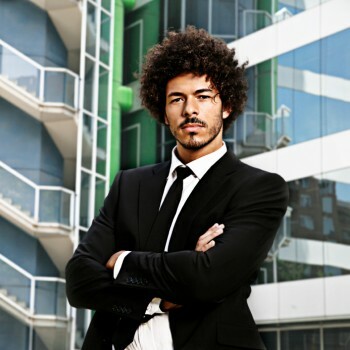 Every submission you see in our regrow hair forum are untouched original posts from men who have mastered the diet and have regrown their hair. It's hard to believe, but this diet works faster, better and is more powerful than any pill or hocus pocus medication they have on the market. The buck stops here. Now you're in the driver's seat. This diet feels abstract when you first try to absorb the concept. It's a tough sell because it's not a product. But if you take a pill, you are forever dependent on a drug. And what happens if the drug is taken off the market? What if your body stops responding to the drug? This diet takes courage, and it's a difficult, drawn out, long haul. You cannot veer from it or stray. You may be ridiculed, your friends won't believe it, you will appear to be different from others, and you will have to duck and dodge away from the traditional American diet. But this distinction is the very foundation that will stop and reverse your hair loss permanently. Our regrow hair page has many success stories linked throughout. Please be sure to scroll down on this page and read real life submissions and exciting success stories! I'm just surprised at how my hair is responding to the diet. I always thought hair loss couldn't be reversed and was a destiny for many people. My hair has definitely thickened, and I can see new baby hairs when I part my hair. The roots of the hair have also gotten darker and thicker and the scalp is less visible now. Do You Have a Story or Comment About Hair Re-Growth? Do you have a story to share about hair re-growth? You can post it here. If you would like to ask another visitor a question about how they reversed and regrew their hair, you can ask here. Click here to read Brian's fantastic story of hair regrowth. 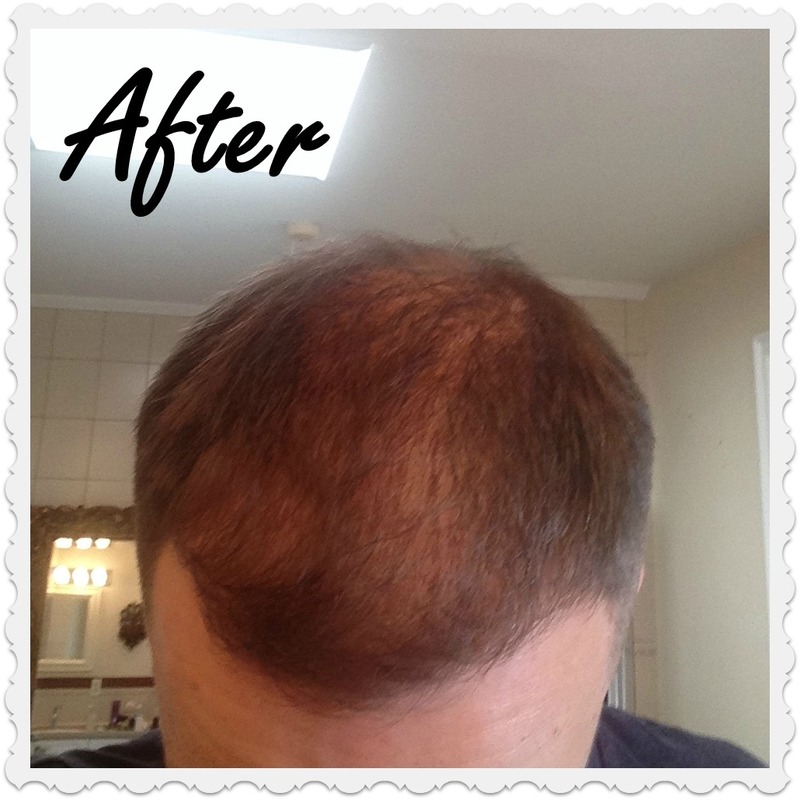 Brian has experienced 85 percent hair recovery, and will achieve full regrowth in several months! Austin Has Won the Hair Regrowth Battle! Cardaro's Hair Regrowth Adventure: Learn How Cardaro Mastered Diet to Regrow His Hair! 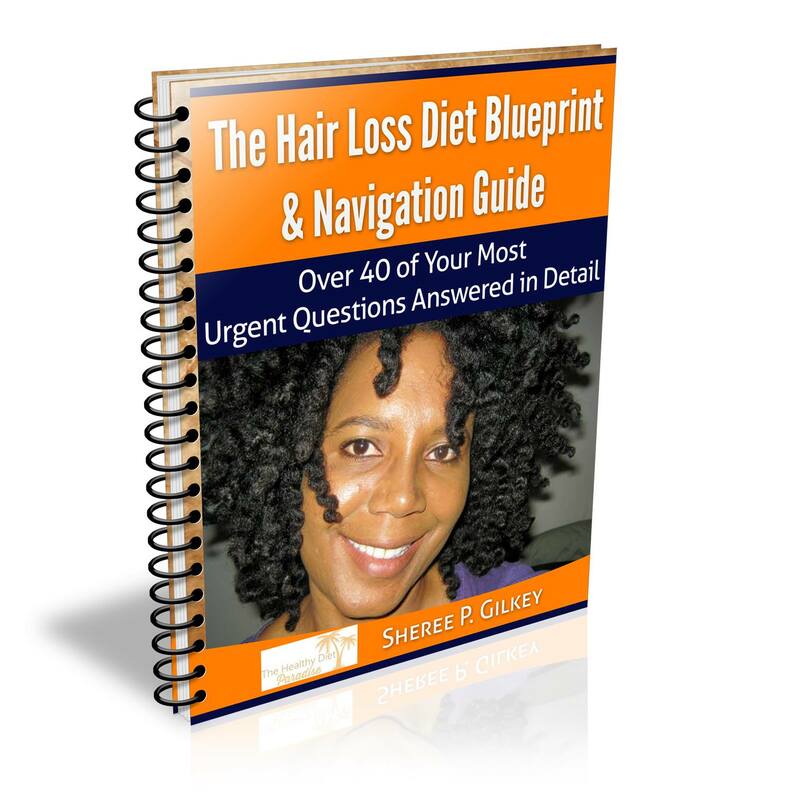 Be sure to download our hair loss diet ebooks! Click here to order. 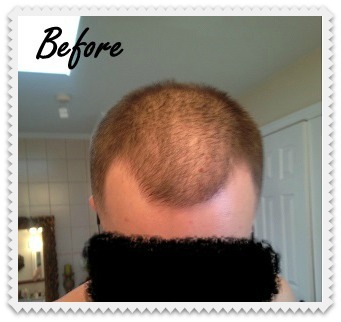 Read Austin's exciting hair regrowth story! Dear Sheree, I have been doing your diet for two months now and can say with out a doubt that this works. After one month my hair line was filling back in with tiny hairs and my hairs that were already there were getting strong, dark roots. The picture below is Kevin's before picture from January 2016. Kevin's photograph is blurred for privacy reasons. 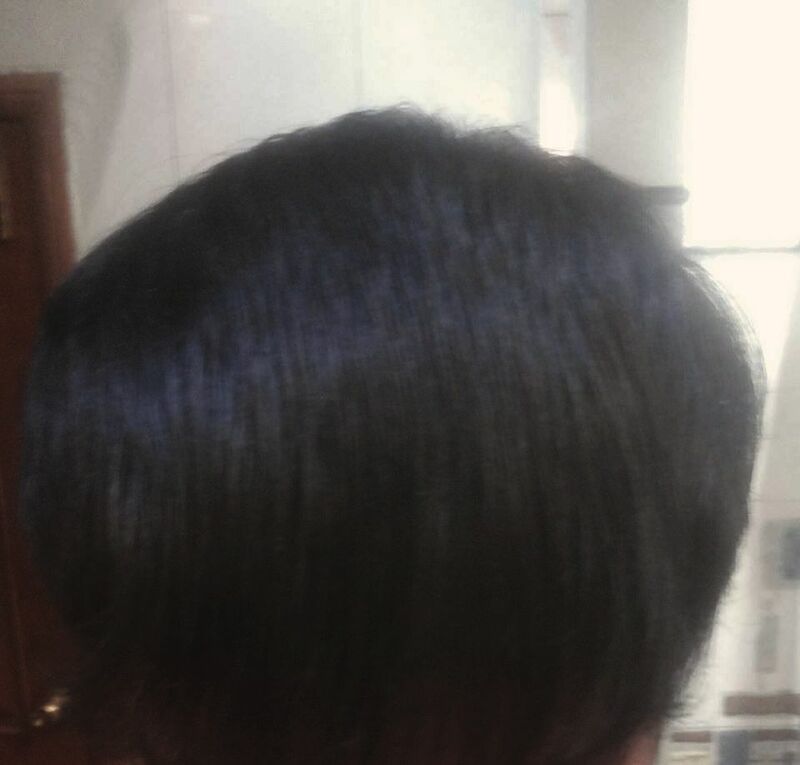 Kevin's picture below shows his hair regrowth progress after three months on the hair loss diet. The receded areas are much less visible, and his hair is thicker. The Hair Loss Diet Quick-List. specifically list the best foods for your hair, and the foods that will cause hair loss. 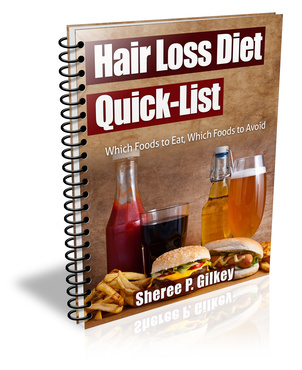 Be sure to add the Hair Loss Diet Quick-List to your order. 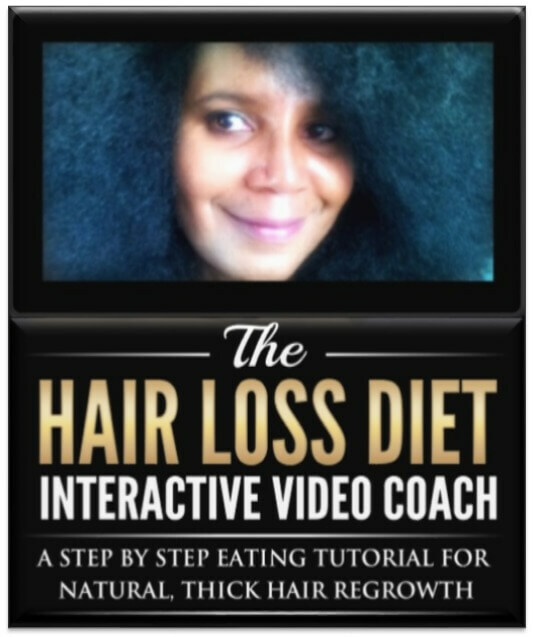 The Hair Loss Diet Interactive Video Coach is a powerful video download that teaches the complete science of the hair loss diet.